In this article I review a series of artworks, artistic performances and installations that deal with the topic of surveillance. My aim is twofold. On the one hand, I want to look comparatively at how different artists interrogate, question, quote, or criticize surveillance society. On the other hand, I take these artistic actions as themselves symptomatic of the ways in which surveillance interrogates contemporary society. 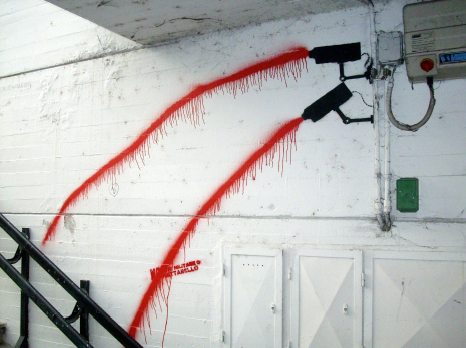 In other words, my claim is that surveillance does not simply produce substantive social control and social triage, it also contributes to the formation of an ideoscape and a collective imagery about what security, insecurity, and control are ultimately about, as well as the landscape of moods a surveillance society like ours expresses. This entry was posted in media, surveillance, visibility. Bookmark the permalink. Comments are closed, but you can leave a trackback: Trackback URL.